If you're looking for a luxurious mattress that offers you sumptuous comfort and excellent support, then our exclusive Posture Pocket Plus Extra 200- Double Mattress is for you. 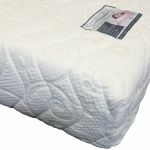 From its generous 30mm layer of memory foam, enhancing the support provided by individually placed pocket springs, to the soft touch micro-quilted cover, this mattress promises you sweet dreams - night after night. 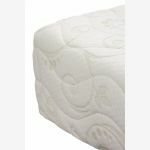 High density foam encases the springs for our highest support rating; a mid-density foam Supportive version is also available. 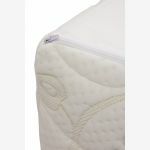 For a cosy finishing touch, the Posture Pocket Plus is upholstered with a luxurious knitted stretch fabric, which has anti-allergenic properties and is resistant to mites. 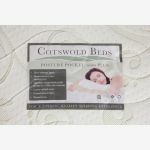 Measuring 28cm deep, this mattress will fit extra deep sheets and is fully compliant with fire regulations and British Standards.